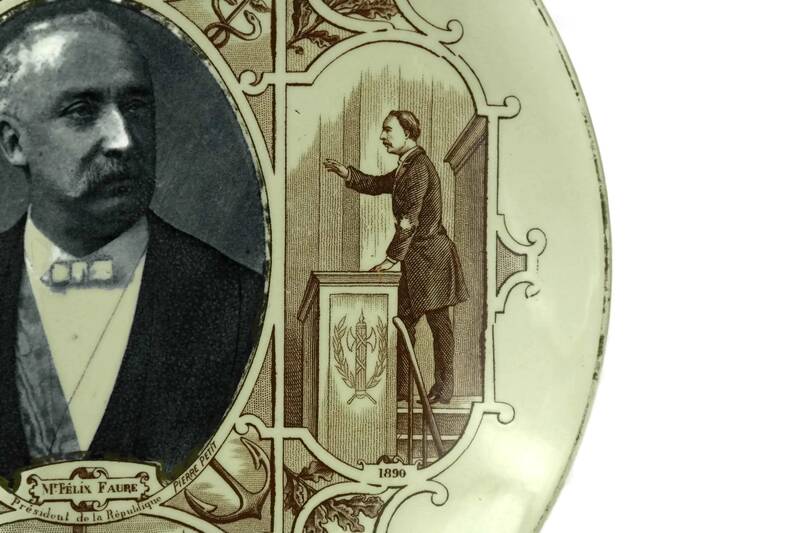 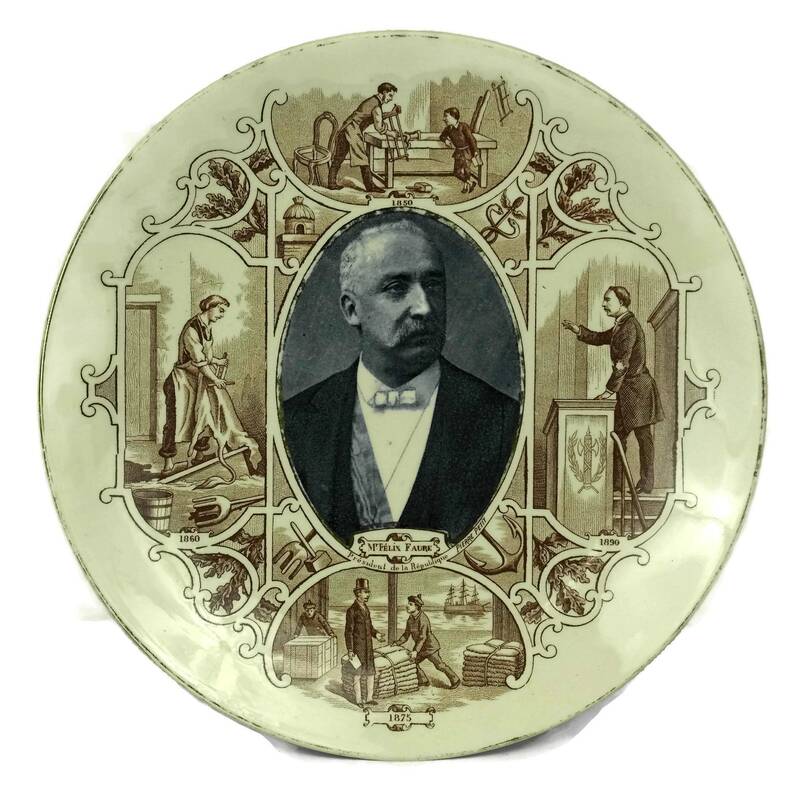 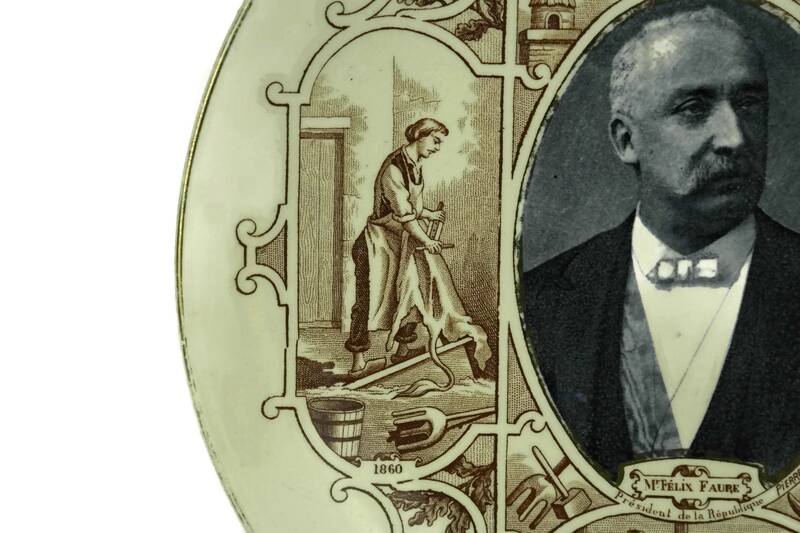 An antique French faience wall plate featuring the portrait of Félix Faure, President of France from 1895 until his death in 1899. 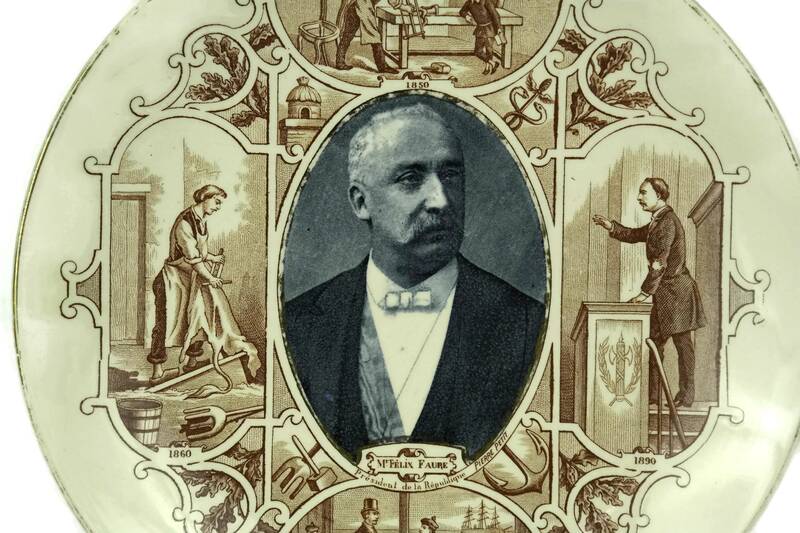 It was created by the famous Sarreguemines pottery company and has been decorated with transferware images in shades of brown and blue. 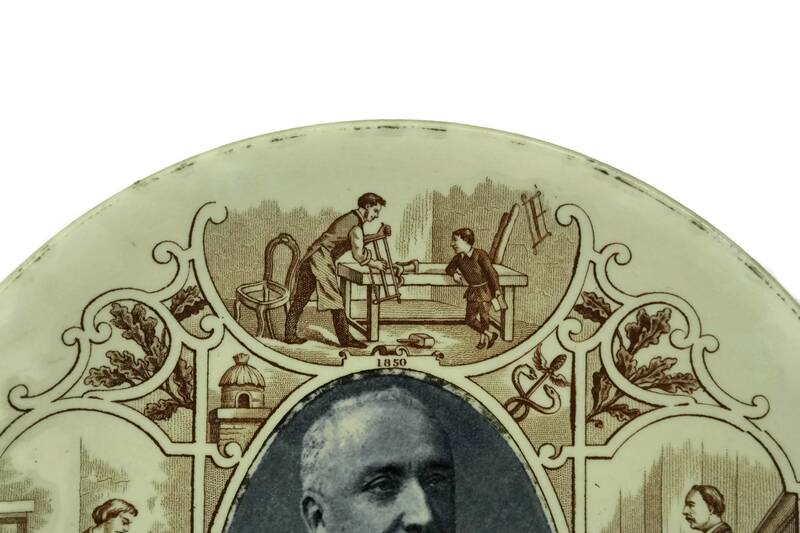 The large central portrait has been surrounded by an ornate border with 4 medallion scenes of Faure's life. 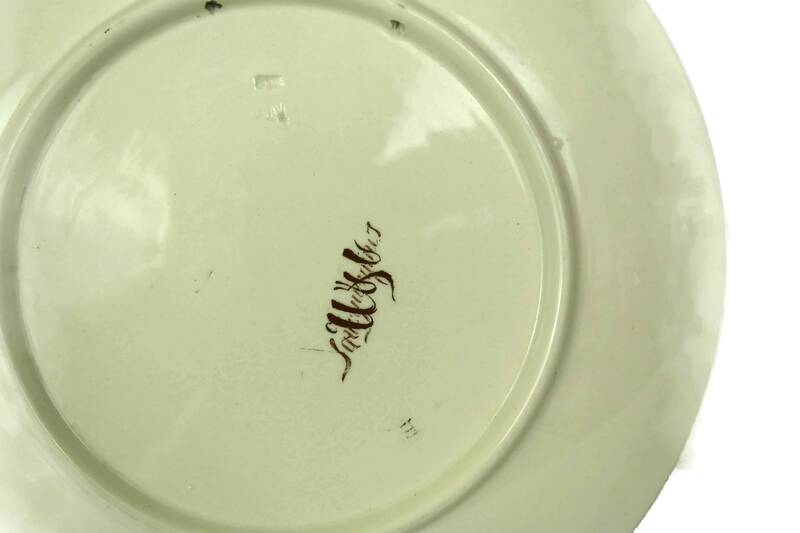 The underside of the plate has been stamped with the manufacturer's marks and has 4 small holes to thread a cord for hanging on a wall. 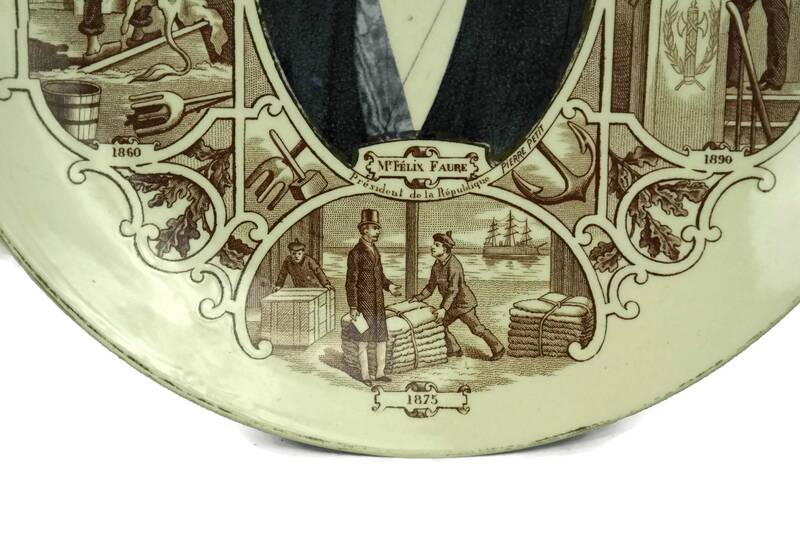 It would make a great gift for French history lover. 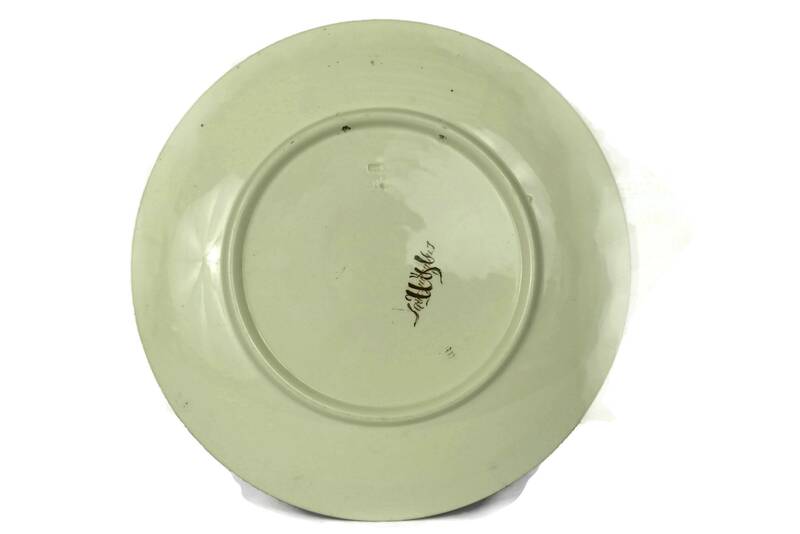 8 1/2" in diameter (21,7 cm). 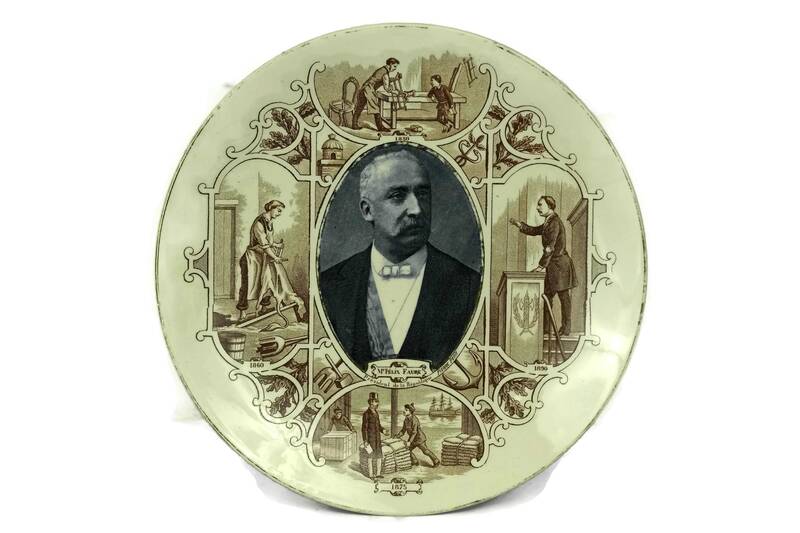 The antique wall plate is in very good condition with no chips, cracks or restoration. 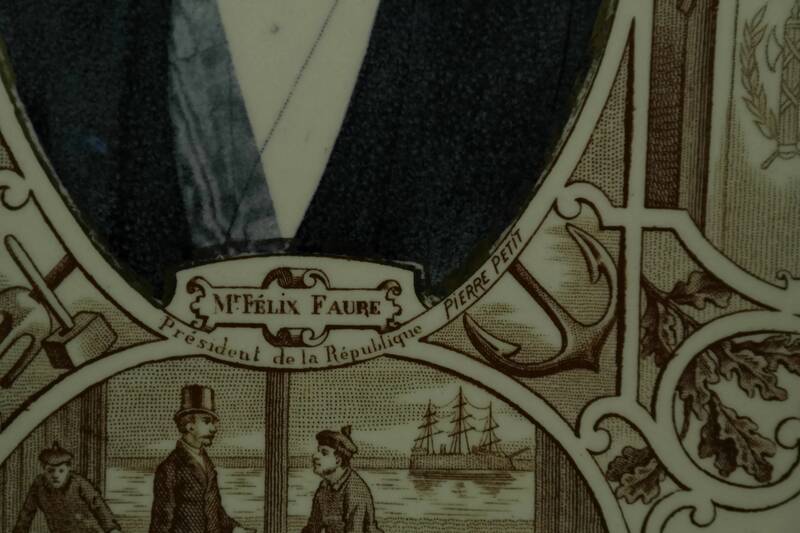 The gilt decoration around the border of the plate and around Faure's portrait has worn away.